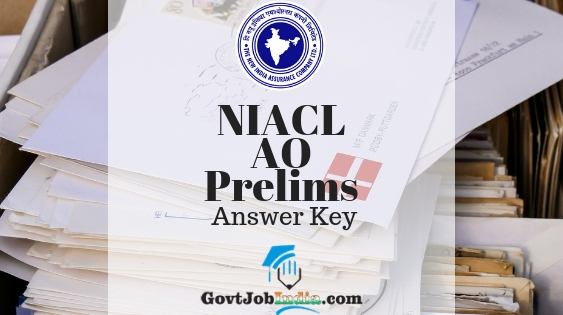 NIACL AO Prelims Answer Key 2019– Please note that given below is the NIACL AO Prelims Answer key and its details. This will be given on the official website of the recruitment which is www.newindia.co.in. After successful completion of the NIACL AO prelims exam on the 30th January 2019, candidates will now be searching for the answer key of the same. We must inform the candidates that the answer key will be published soon. 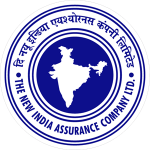 The New India Assurance Company Ltd will publish the NIACL Answer Key 2019 in order to clear out any discrepancies which must have sprouted up amongst the contenders with regards to the right answers of the exam conducted. In addition to this, another reason why the NIA Administrative Officer Answer Key will be released is to let the entrants of this examination calculate their rough score secured by them in this exam. If you were one of those applicants who successfully wrote the exam and now is looking for the answer key, you will find the direct link to the solution sheet here in the sections below. The NIACL Recruitment which was conducted for the posts of Administrative Officers (Generalists & Specialists) by the is an amazing opportunity for all candidates to secure a job in the govt sector. If you wish to know more about the vacancy then please head over to the New India assurance Recruitment 2018 page. How to Download NIACL AO Prelims Answer Key 2019? Start by going to the official website of New India Assurance Company Ltd which is www.newindia.co.in. On the very homepage, you will find the NIACL Administrative Officer Answer Key for the prelims exam. If you cannot find it, then search for it on the homepage. Alternatively, you can also click on the link given below which will take you New India Assurance Prelims Answer Key 2019 directly. Enter your NIA recruitment details which includes your registration number and date of birth/password. Click on submit and your NIACL AO Prelims answer key will be on your screen! Hope that your marks/scored are above the prescribed cut off. After the preliminary exam being conducted, NIACL will now be declaring the result. If you wish to know the details of the prelims cut off and NIA Merit List 2019, then you should head over to our other page which is entirely dedicated towards it. This is the NIACL Administrative Officer Preliminary exam Results and Cut off 2019. How was your NIACL Prelims exam? Let us know in the comments below. Furthermore, if you have any doubts related to the recruitment, comment below that as well and we will clear it out as soon as possible. Hope you found this article about the NIACL Admn Officer Answer Key 2019 helpul and instructive. In the end, we will finish off by reminding you to subscribe to our website @GovtJobIndia.com and also bookmark this article/page for latest updates related to the NIACL AO prelims answer key for AO Recruitment 2019.